The name of Wojciech Kilar has only come to light relatively recently in English language film circles, but he has been composing music for Polish and other films since the 1950s. 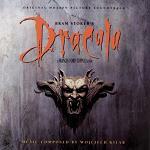 He was able to put his Polish/Ukranian background to good effect on one of his earliest English language films "Bram Stokers Dracula", which has some dark and powerful music with an Eastern European flavour suggesting the Romanian origins of the legendary vampire. But the film and music also highlight another side of vampirism - the mysteriously compelling hypnotic quality, and in this movie there is also a love theme. One of the features of this soundtrack is that there are times when two of these themes are playing simultaneously yet independently, while the lyrics chant the Latin equivalent of the refrain "Blood is Life". This truly dark soundtrack closes with "Love Song for a Vampire" by Annie Lennox. 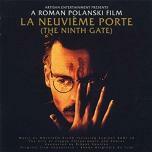 Wojciech Kilar has worked several times with the director Roman Polanski, including "Death and the Maiden", "The Ninth Gate" and "The Pianist" which also includes piano music by Frederic Chopin. Among Kilar's concert pieces is one called "Requiem Father Kolbe" which had its origins in the music he created for a film about Father Kolbe who allowed his own life to be taken in preference to that of another prisoner at the Auschwitz concentration camp. 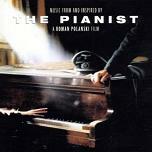 An extract from this work was used on the film "The Truman Show", and portions of his "Angelus" were used appropriately enough on "City of Angels". The composer is now in his late 70s and, though he is still actively composing, the pace of his film projects has understandably slowed a little. 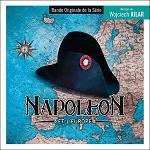 In 1991 Kilar created the music to accompany "Napoléon et l'Europe" an ambitious 6-part mini-series for French television. An album of this music is now available at Music Box Records. It is with regret that we announce the composer's passing on 29th December 2013 at the age of 81. City of Angels - uses a portion of his music from the orchestral work "Angelus"